Turkeys are everywhere it seems, especially in classrooms! 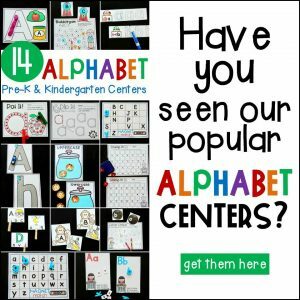 Turkey crafts, turkey books, turkey songs – it’s definitely November! 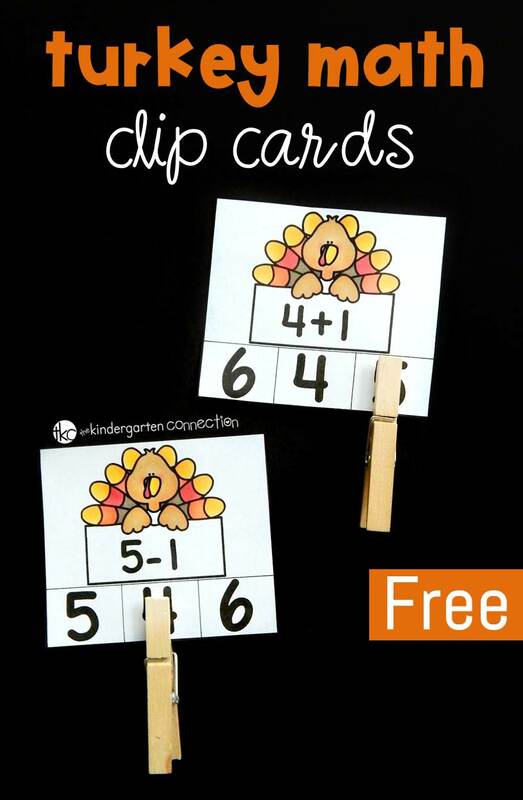 We are adding one more activity to our fun list of turkey activities for kids – turkey math clip cards! 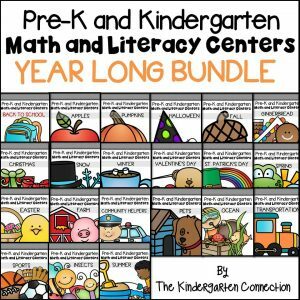 These cards are great for Kindergarten and early 1st grade students who are working on beginning addition and subtraction facts, and especially distinguishing between the two symbols. I am a huge fan of clip cards because they can pack so much learning in such a small space! They not only work on academic skills, but build up fine motor skills too (squeezing clothespins is great for building up finger strength in pre-writers). 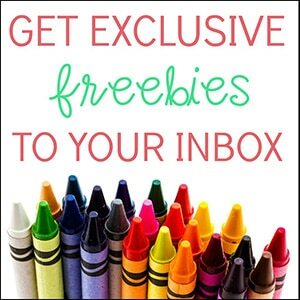 Plus, their themes can change throughout the year so they always feel new! Like all of our clip cards sets, these little turkeys were super easy to prep. I just printed, laminated, and cut apart on the solid lines. Then I added some clothespins and the cards to a basket, and I had a math center or small group activity ready to go! When kids are beginning to learn addition or subtraction, you may see them learn addition first, and then subtraction. Or you may see them learn both at the same time. There are many different thoughts on this, and some schools and teachers teach them both at the same time, and some do not. 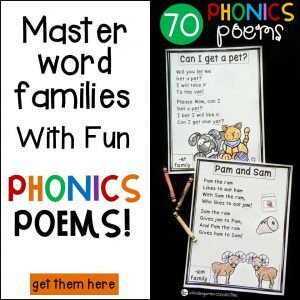 However you teach them – this set of cards is great for kids who have had some exposure to addition and subtraction equations, and are ready to start distinguishing between the two. As they pick a card, they must look really carefully to see what type of equation it is before solving. This is a challenge for many kids! They often will get used to adding and instantly do addition, not realizing they were looking at a subtraction problem, so it’s a great lesson in visual discrimination too. They pick a card, solve the problem (all addition and subtraction under 10) and then clip the answer! 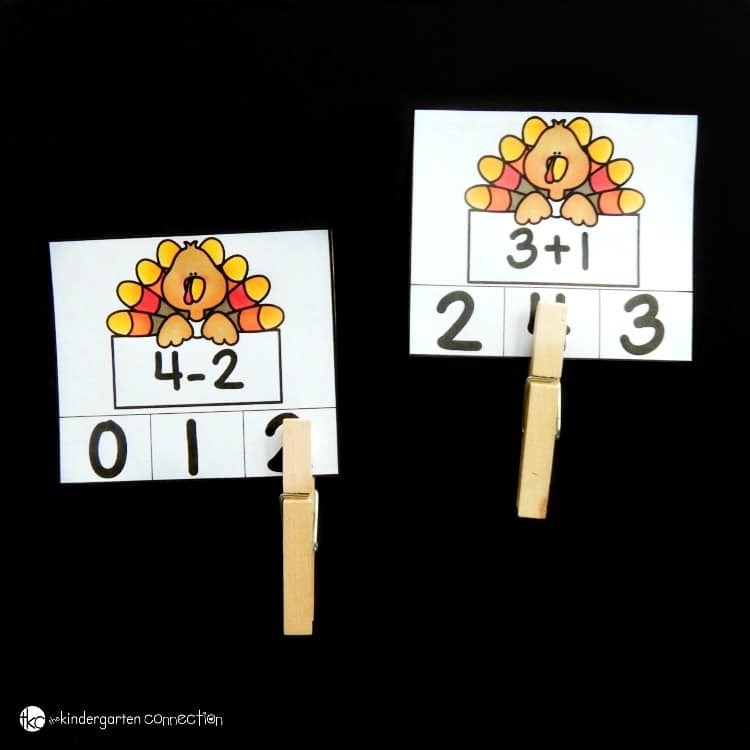 Ready for some turkey-themed addition and subtraction fun? 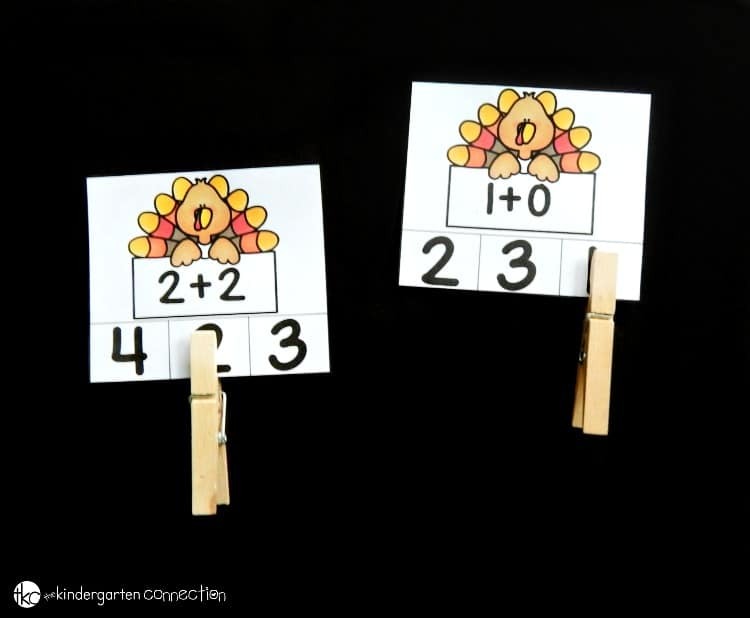 Grab your set of these 24 turkey math clip cards by clicking the yellow button below! 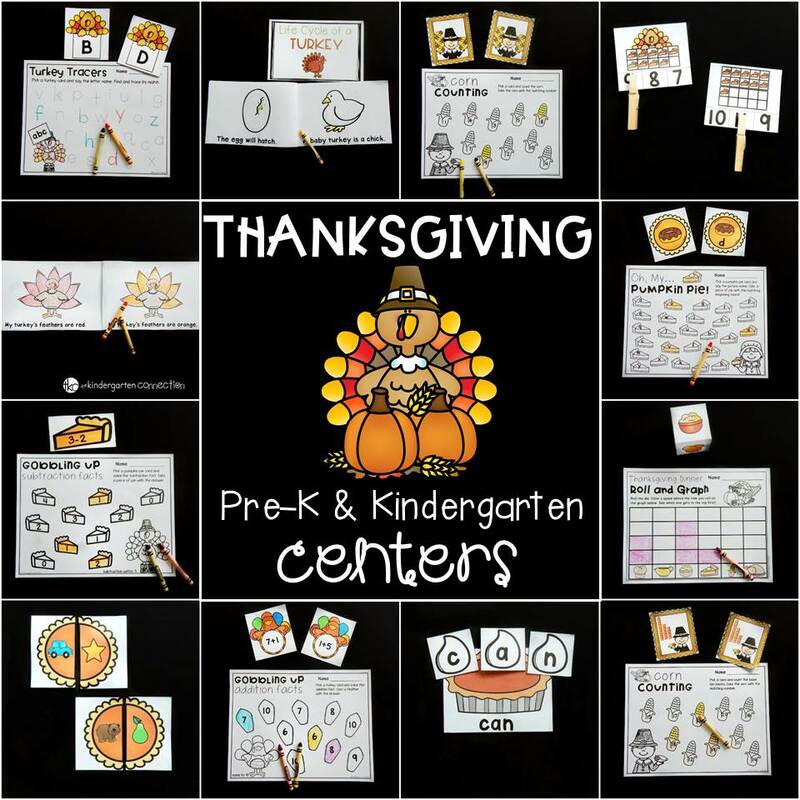 Then, for TONS of turkey and Thanksgiving themed learning planned for you, hop over and grab our Thanksgiving math and literacy centers!